I recently had a heated debate with a few friends about which brand of trail camera offered the best bargain and was better to buy on a budget. A name or brand that featured prominently in the discussion was the Spypoint line of cameras. I must say that after much research and consideration, these cameras are what I would call entry level trail cameras that get the job done. These reputable cameras will suit your needs perfectly especially if you are on a budget. They are generally easy to use and produce quality images, which can enhance your hunting experience. I have listed a few that I think are worth looking at and hope I can help you to choose the right trail camera for you. 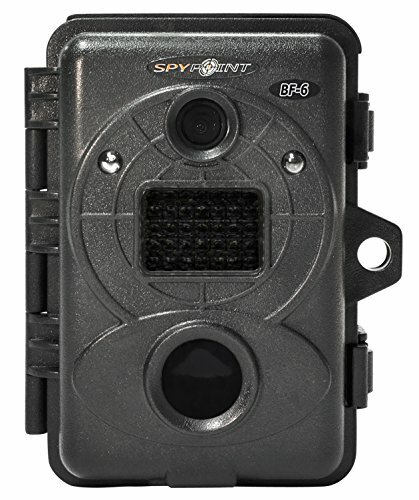 The Spypoint 6 MP Invisible Infrared Game Camera is a really good option with good camouflaging capabilities that allow you to scout game without alerting them to your presence. The camera has a five-zone sensor that centers the images and has a fast trigger speed. This camera captures images with 6 MP both during the day and at night and can produce 10-, 30-, 60-, or 90-second videos. The removable internal camera makes this camera one of the easiest to use. The date, time, temperature, and moon phase are stamped on each photo. This camera is a quality cameras as it captures beautiful color images during the day and black and white images at night. The camera’s battery life, which is about three to four weeks, is really magnificent. This BF-6 camera is also compatible with a lithium rechargeable battery pack (sold separately) and includes a 12V/solar panel power jack, mounting strap, USB cable, and video cables. This camera might be a bit expensive but it is worth the price. I like that this camera is one of the easiest to use on the market. The price also represents a good value for its price. I also like that this camera is compatible with solar panels and eliminates the need for batteris. This is a fairly good camera that I would definitely recommend. The Spypoint Live 3G Game Camera has recently caused a bit of eyebrow-raising in terms of its rising price. This camera does have a really good 3.5-inch screen in addition to its 5 MP resolution. The camera is solar-panel compatible and comes equipped with infrared night time illumination, as well as 48 LEDs with an automatic infrared level adjustment. The trigger time is 0.8 seconds and features an instant trigger time in electricity mode. The date, time, temperature, and moon phase are all printed on the photos. The camera also features a rechargeable lithium battery pack compatibility and a 12 V auxiliary power jack, is solar panel compatible and has sound recording, detection sensitivity, USB and TV-out ports, as well as a standard tripod mount screw. I also like that, with internet access, you can quickly retrieve all of your photos. Internet access will also allow you to adjust the settings. This will no doubt save you time and fuel when you want to view your photos. This camera features ground-breaking technology and features. The question, however, is are all the features necessary, and are you going to use them? I have always believed you cannot put a price on convenience and the luxury of being able to check your data from anywhere is a convenience that is unmatched. This capability is compatible with multiple devices, whether it is your smartphone, tablet, or computer, and your scouting data is available immediately. The camera has a relatively quick trigger time, and being able to run on solar panels is a plus. This camera has a hefty price tag, and after all things considered, there are better options for a lot less. 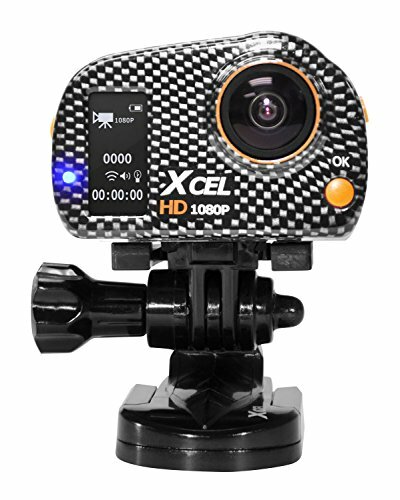 This camera is all about the action and is a fairly compact camera that offers complete HD footage. Hunters will appreciate the fact that this camera gets you in the thick of the action and captures pulsating images. With this camera Spypoint has mastered the mounting feature as you can mount this camera on your bow or on your scope. I also like the ruggedness of this camera which is complimented by the fact that the camera comes in a camouflaged waterproof case that protects your investment. This camera represents a good deal for your money. My favorite thing about this camera is the fact that it gets you in the thick of the action. It is rugged and waterproof which means you can take the camera anywhere to capture memorable images and footage without worrying about damaging your camera. This is a quality camera overall. These cameras vary greatly in terms of price. They have roughly the same features, but my personal pick is the 6 MP Invisible Infrared Camera because of the price and the fact that it is a high performance camera that gets the job done. 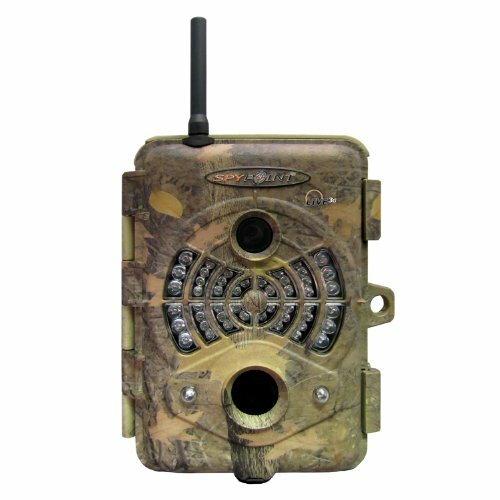 The Hi-Definition Video 1080p 5 MP Hunting Edition also represents a good buy and takes the leading edge when you consider its ability to put you in the middle of the action. If you like being in the thick of the action, this might be the camera for you. The Live 3G, on the other hand, is priced too high even considering its features. Happy Snapping!